TOKYO -- Honda Motor Co., emerging as one of the automakers hardest hit by Japan's earthquake crisis, is further extending its assembly plant shutdowns and says it will take several months for its r&d center in the quake zone to resume full operations. Honda had previously suspended vehicle production through March 27, but now says its two plants will be shuttered through at least April 3. That will further pinch supplies of such models as the Fit small car, CR-V crossover and Acura TSX sedan. Meanwhile, Honda says repair work at the damaged automobile unit of Honda R&D Co. in Tochigi prefecture, an area hit hard by the mammoth March 11 quake, will take months. In the interim, Honda is transferring some of the tech center's work to other locations. 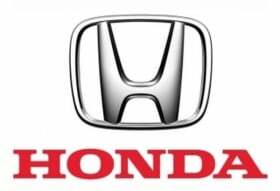 "Based on the expectation that it will take several months until the complete recovery of these facilities, Honda decided to temporally transfer some functions such as the automobile product development, development of manufacturing technologies and procurement to Honda operations in other locations such as Sayama, Suzuka, and Wako," Honda said in a statement today. Other Japanese automakers limped toward recovery today, with Toyota Motor Corp. announcing plans to resume limited production of hybrid vehicles, including the Prius, on Monday. Nissan Motor Co. resumed operation at its five domestic assembly plants. But those plants are working on cars already in progress and with components in stock. Supplies of incoming parts remain in question. Fuji Heavy Industries, maker of Subaru cars, extended existing factory shutdowns into a new week. During the quake, one person died and 30 were injured at the Honda Tochigi r&d center when a wall at its cafeteria toppled. First-hand accounts from a supplier who visited the facility after the quake said employees weren't allowed in the building because it was still in disrepair. Purchasing meetings were being held at a nearby restaurant, the supplier executive said. The assessment comes as Honda and other automakers struggle to restart production. The 9.0-magnitude earthquake and the tsunami it spawned devastated swaths of northern Japan, crippling industries of all kinds and racking up an official death toll now near 10,000. Electricity blackouts and damaged infrastructure have made it difficult to power factories or transport goods. And the outlook for recovery is further clouded by a nuclear power plant on the brink of meltdown that has been spewing radiation since being slammed by a tsunami. Some of Honda's biggest suppliers are still fighting to restart business. As of Tuesday, about 10 parts makers were telling Honda it would take more than a week for them to get back online. Honda hasn't indicated that part shortages will slow assembly lines outside Japan. Toyota has warned employees that similar downtime may be in store for North American operations.